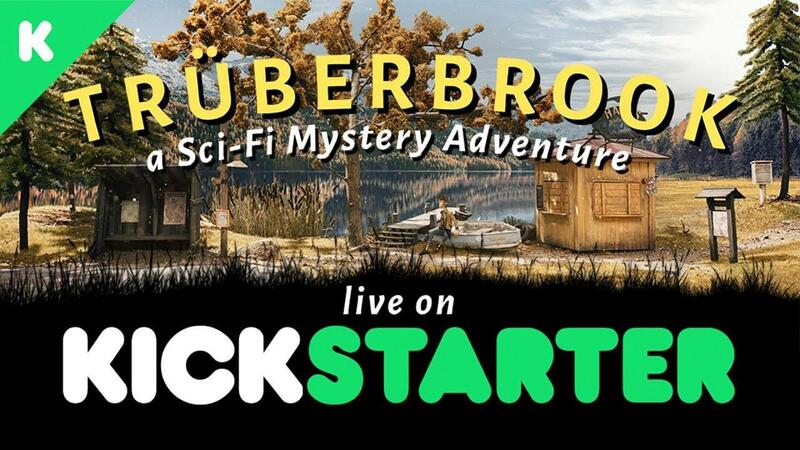 This story-driven adventure game set in 1960s Germany places you in the role of a young scientist who finds himself having to save the world. As you can see from the above trailer, Trüberbrook [Official Site] looks simply wonderful with hand-made backgrounds and careful attention to detail in its visuals. It’s slated to be a type of point and click adventure game with a streamlined interface. The story places the protagonist and young nerdy scientist, Hans Tannhauser, in an idyllic location in a remote part of Germany in the 1960s. Things are not all quite as they might seem and things escalate into what will hopefully be an interesting adventure. If you’re interested in finding out more about the project or backing it, you can do so at its Kickstarter page. Backers can get the final product through Steam or DRM-free. Now that sounds and looks very interesting! I'm very reluctant to do Kickstarter support for anybody, though. A bit of light and uniqueness in the adventure world! Hurray! Though every time I get more reluctant of KickStarter, not sure if I should back it. @BTRE: Thanks for your articles! Sometimes, I find them quite... indie , but there are surely pearls I would have missed (like this one). This looks stunning! I won't do any more Kickstarters though but will be wishlisting. Eike @BTRE: Thanks for your articles! Sometimes, I find them quite... indie , but there are surely pearls I would have missed (like this one). Sometimes I write about stuff that I really want to talk about, sometimes I write about stuff that really needs doing. Other times about things that would otherwise fall through the cracks because GOL doesn't always have the manpower to cover every single game and release. We try to cover all the things that are submitted but it's not always possible. More to the point: these past few days I've mostly been covering for Liam, who has been busy moving and has had limited internet and computer time. Your thanks is still very appreciated! Now this looks different. Really liking the set design and the resulting camera work. Bookmarking the KS for now, might throw a few bucks their way but it's more expensive than I usually pay for video games and I already have a backlog, so we'll see if they need extra encouragement. My thoughts exactly; if there were a pledge at half the cost, I would have immediately jumped on it, but it's a bit high.